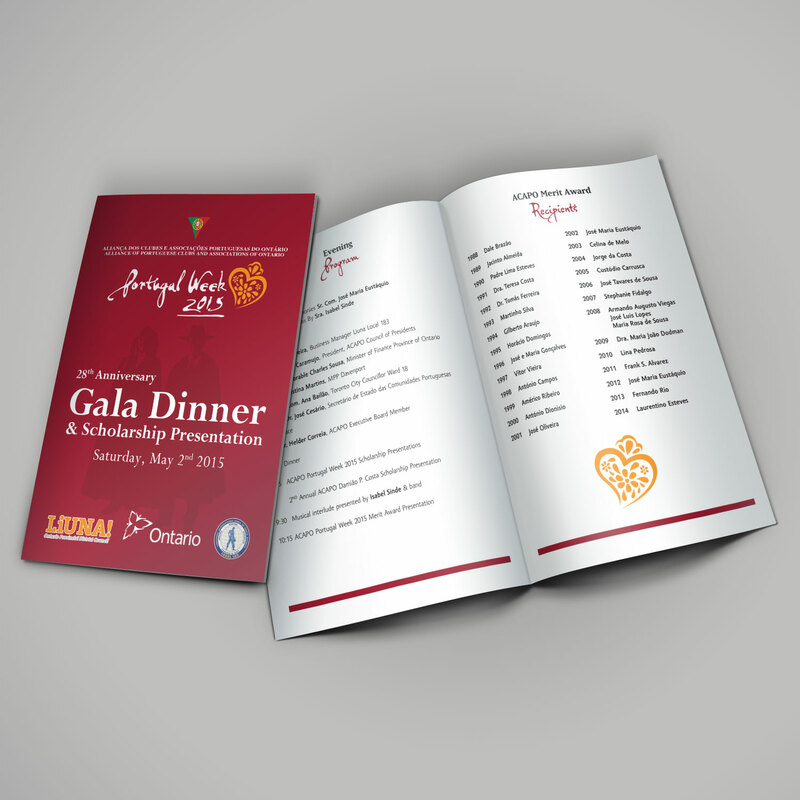 The Alliance of Portuguese Clubs and Associations of Ontario (ACAPO) hosts the largest Portugal Day celebration in the world. 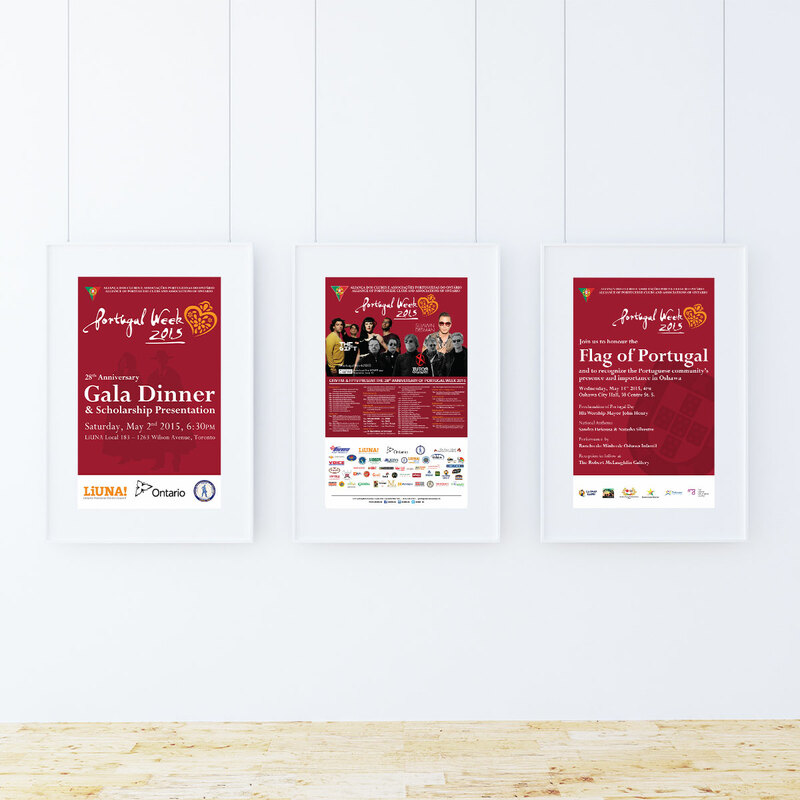 Although officially titled “Portugal Week”, the festivities begin the first weekend in May and run through to the end of June with events in Oshawa, Brampton and across the GTA. 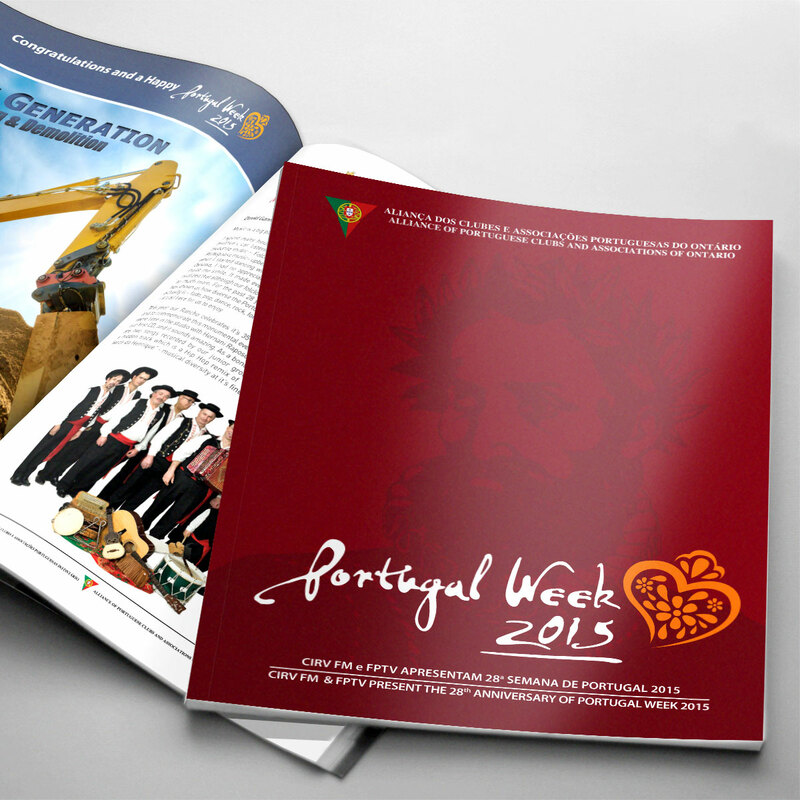 My task was to rebrand the festival and build the a campaign to promote Portugal Week 2015. The rebrand started with a new logo which I based on a Portuguese symbol – the Heart of Viana (Coração de Viana). 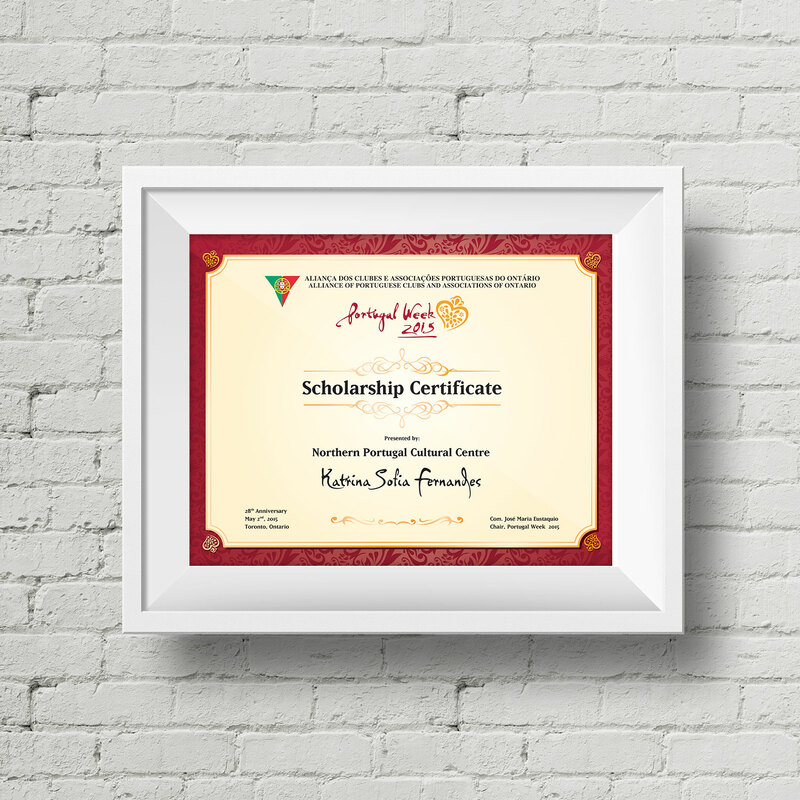 Portuguese symbolism was carried throughout the promotional material – a 180 page magazine, posters, backstage passes, brochures and newspaper ads – by placing watermarks representing different themes on a blood red background. Pieces for the Scholarship Gala had two students wearing the academic costume from the University of Coimbra; Flag Raising pieces had the Portuguese shield; and the magazine showcased poet Luís Vaz de Camões. For ACAPO’s online presence I built a new responsive website and added social media -Facebook and Twitter which helped keep the public informed of the many events hosted by ACAPO and their members. The results? 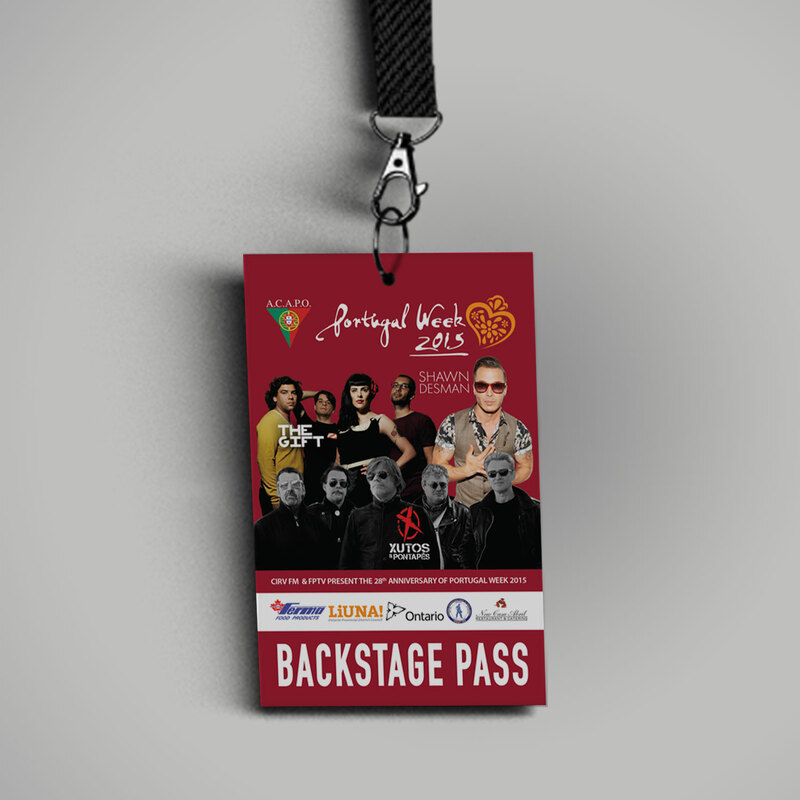 Almost 9500 users visited the website from May 1 to June 14, ACAPO hosted many sold out events and an estimated 11,000 people attended the June 13 concert which translates to a very successful Portugal Week 2015.